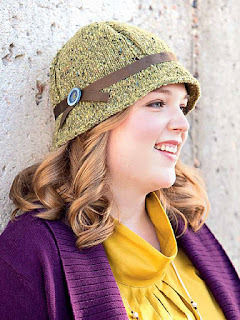 There are 603 Ravelry patterns under the category Knitting> Hat> Cloche. 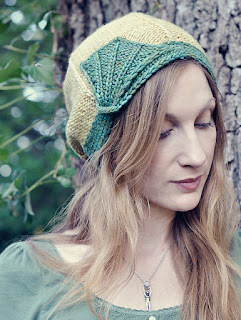 I was really disappointed to see how many patterns were miscategorized on Ravelry. A ton of beanies, turbans, and even a few bonnets were thrown in. 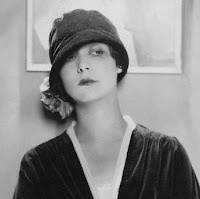 I did see quite a few toques, which are narrow- or non-brimmed hats, which actually fit the cloche bill fairly well. Have you ever looked at this hat? Really looked at it? I love the inclusion of the ribbon; different textures with knitted fabrics are one of my favorite ways to push an item from looking homemade to Handmade (with a capital H!). I'd extend the body of the hat downward, so the lace section was right at/ below my eyebrows. I think this hat is BEGGING for color, and wouldn't look as good in a neutral, except maybe black. I can't see this in a grey or white, personally. 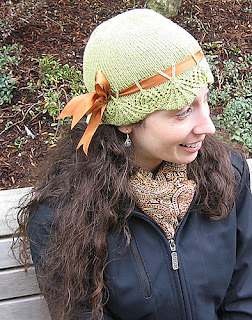 In that same book, Weekend Hats, there's a great little welted toque, too! I'm trying really hard to get past the duck-foot-as-design-element, but more effort is obviously needed! Favorite cloches? Post 'em in the comments!